The beginning of my bagpiping career was neither epic nor inspiring- in truth it was quite random. Near the small highland village of Gresham, Oregon, where I spent my youth, there was a Highland Games held annually. Each year my family and I attended the event and received a small dose of Scottish heritage. I really enjoyed how bizarre and exciting the bagpipe sounded and decided to start taking private lessons. I was very lucky to have Mark Tomasetti as my teacher. The Sir James McDonald Pipe Band (grade 4) a youth band in Portland for bagpipers and drummers under the age of 18. The Monmouth College Pipe Band (grade 3) in Monmouth, Illinois where I also went to school and received a full ride scholarship for bagpiping. The New Westminster Police Pipe Band (grade 2 and formerly Maple Ridge Pipe Band) in Vancouver, B.C. The Portland Metro Pipe Band (grade 2 and my current band) which has just returned from a very successful trip to the World Pipe Band Championships in Scotland. In addition to playing with bagpipe bands, I've also played with a few celtic-rock bands, and wholeheartedly enjoy playing with other musicians. In one engagement, Portland Metro and I had the pleasure of playing a set with the Chieftains. 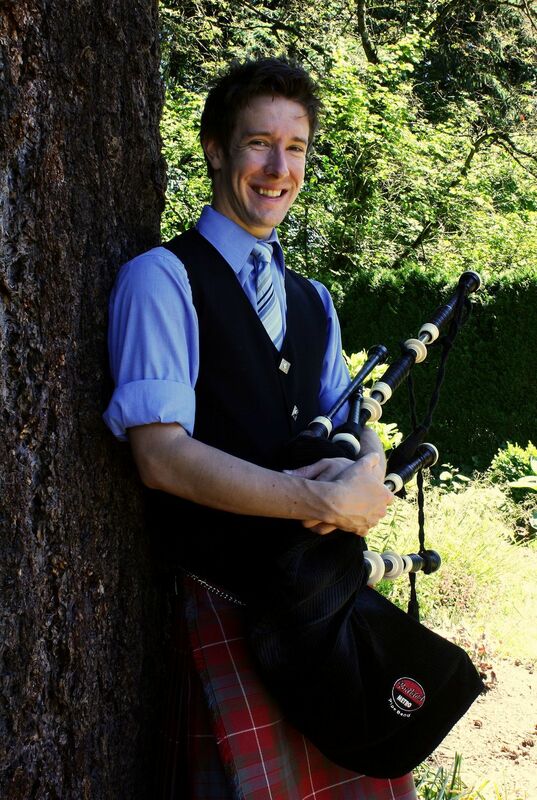 Bagpiping has truly filled my life with great joy; I am so happy to have learned it, and will continue to share bagpipe music with the world for the rest of my life!